Situated in the vibrant foothills along the northern edge of Desert Mountain, Sunset Canyon is known for its spectacular mountain and Valley views. This secluded luxury village soars high above the Valley floor, providing vast sweeping panoramas of the twinkling city lights, along with Pinnacle Peak and the McDowell Mountains. If you are looking for homes in Desert Mountain that are both incredibly private and luxurious, you are sure to find your dream home here. Homes in Sunset Canyon are substantial in size, reaching between 5,000 and 7,000 square feet. Many of these homes were built from 2001 to 2009, and there are also a number of scenic home sites available in this village. Exceptional golf courses and clubhouses are only minutes away., The nearby Cochise-Geronimo, Chiricahua and Apache Clubhouses offer fine and casual dining for Desert Mountain members to enjoy. To arrange a tour of any Desert Mountain homes, call (602) 791-0536 or email Carmen@TopScottsdaleHomes.com. Searching for luxury homes in Scottsdale? 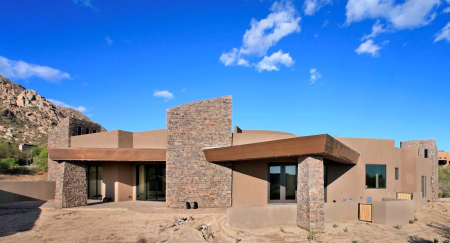 Desert Mountain boasts a wide selection of luxury real estate set in the beautiful foothills of the Sonoran Desert. This gated golf community rests along the majestic Continental Mountains in far North Scottsdale, offering a lifestyle of serenity and seclusion for the most discerning luxury buyers. If you want a home with a stunning view of one of the top Valley golf courses or a private retreat perched well above the city lights, you will love the vast array of homes available in Desert Mountain. Choose from a variety of custom estates, cozy villas and spacious southwestern cottages. Discover what a truly elite golf community has to offer. Desert Mountain is the perfect private club for both golf and luxury enthusiasts. Boasting six championship courses designed by the famed Jack Nicklaus, this club has it all. Golf members enjoy a wide variety of challenges and views on each course with access to six spectacularly designed clubhouses. 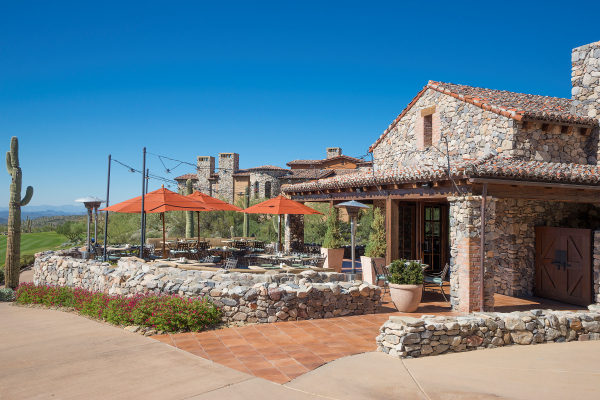 Each clubhouse at Desert Mountain has its own unique atmosphere and style, creating ideal settings for dining, boutique shopping and socializing with friends. Desert Mountain is also home to the wondrous Sonoran Clubhouse, which features a top-ranked tennis facility, fitness center, spa, swimming pools and more. Ready to view Desert Mountain homes for sale? Call (602) 791-0536 or email Carmen@TopScottsdaleHomes.com to set up a time for a showing.